AnonD-34958, 14 Mar 2012To try, I import 400 contacts to this phone, nw I have to delete all that contacts but there s... moretry deleting from windows live account. the contacts are synced to windows live account. can i use ovi store in this handset. To try, I import 400 contacts to this phone, nw I have to delete all that contacts but there s no option to mark all n delete...Cn we manage it frm Zune? Can any one tel me abt this phone.. Anonymous, 13 Mar 2012How to make a song my ringtone in nokia lumia 710? there is no option availoable :(. Donwload "Zune" (from zune.com). This app allows you to turn .mp3 in your CPU to ringtones in your Lumia phone. 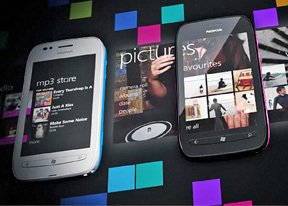 how to connect ur laptop to internet through lumia 710?? 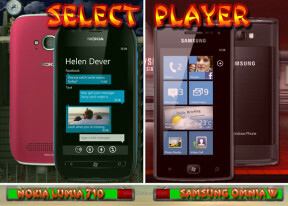 How to make a song my ringtone in nokia lumia 710? there is no option availoable :(. rohan, 12 Mar 2012why Bluetooth paring is not working i have tried almost paring with most of phone but lumia 71... moreUs bro it is a bad phon.no one can't use it. Asim, 12 Mar 2012I have bought lumia 710 today...its awesome but it has micro sim..can anybody tell me that is ... moreBro,No need to buy a separate micro sim.U can cut ur existing sim to get it matched with microsim dimensions.Check any mobile stores they will be having the facility. The set purchased 2 months back is spending most of its time in service center due to poor battery life - battery gets exhausted in 12 hours without actually using the set. I purchased nokia 2 moths back , I am running after service center for poor battery life - Battery gets exhausted in 12 hours without using the set. Is it possible to update from mango to tango?